Religions (ISSN 2077-1444) is an international, open access scholarly journal, publishing peer reviewed studies of religious thought and practice. It is available online to promote critical, hermeneutical, historical, and constructive conversations. Religions publishes regular research papers, reviews, communications and reports on research projects. In addition, the journal accepts comprehensive book reviews by distinguished authors and discussions of important venues for the publication of scholarly work in the study of religion. Religions aims to serve the interests of a wide range of thoughtful readers and academic scholars of religion, as well as theologians, philosophers, social scientists, anthropologists, psychologists, neuroscientists and others interested in the multidisciplinary study of religions. 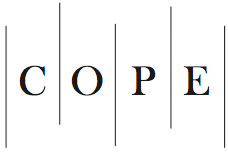 Religions is a member of the Committee on Publication Ethics (COPE). MDPI takes the responsibility to enforce a rigorous peer-review together with strict ethical policies and standards to ensure to add high quality scientific works to the field of scholarly publication. Unfortunately, cases of plagiarism, data falsification, inappropriate authorship credit, and the like, do arise. MDPI takes such publishing ethics issues very seriously and our editors are trained to proceed in such cases with a zero tolerance policy. 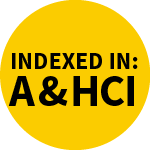 To verify the originality of content submitted to our journals, we use iThenticate to check submissions against previous publications. MDPI works with Publons to provide reviewers with credit for their work.